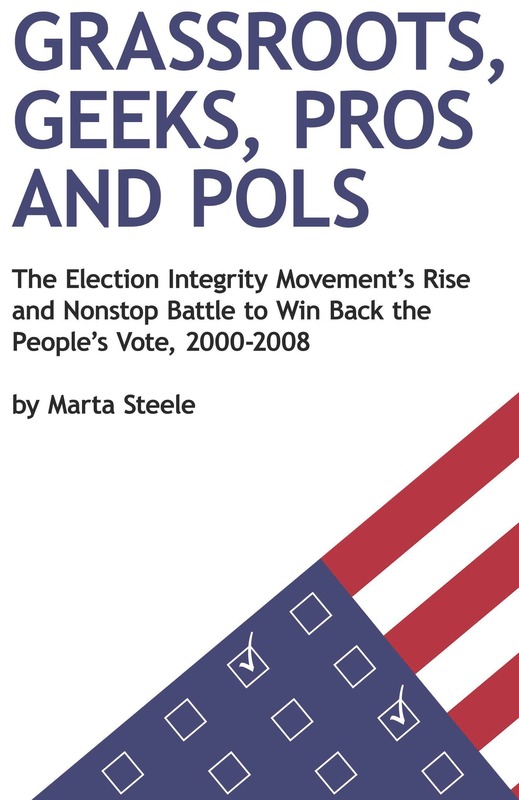 Further to my diary yesterday, "
"Actual history contradicts your assertion that "Ohio lawmakers know full well that there is no history of electoral fraud in the state and no pattern of abuse by any voters or groups." Why did Sen. Barbara Boxer (D-CA) join Rep. Stephanie Tubbs Jones (D-OH) on January 6, 2005, to challenge the Ohio electoral delegation's assignment of its votes to Bush? Because of countless instances of corruption at every level of government from municipal to presidential in the Buckeye State in 2004. Consider Cybergate, tip of the iceberg, the event that flooded votes from Kerry's column to Bush's at the eleventh hour on Election Day. President Bush and his aide Karl Rove were seen in Columbus meeting with SoS Kenneth Blackwell that same day. As goes Ohio, so presidential elections have gone throughout U.S. history, not one of them without corruption. Ohio was called the Florida of 2004. History is rife with the evidence." That said, I will keep an eye open for other reactions to yesterday's editorial and will be very surprised if there are none. More than that, just out of curiosity, I checked what records I had in my book Grassroots, Geeks, Pros, and Polls . . . of the New York Times's reactions to the goings-on in Ohio around 2004. There were many, all attributing the problems to administration rather than corruption. It was an eye opener, because I do quote the Times often in my book. It seems as if the Times was relying on the "geek" principle cited by Yale scholar Heather Gerken: "Hamlin's Razor says never attribute to malice that which can be adequately explained by stupidity." As I wrote, I'll keep my eyes open for more.